Blog > Issues > Separation of Powers > Don’t know how to identify every one of the 1,500 endangered species? This group wants to throw you in prison. Don’t know how to identify every one of the 1,500 endangered species? This group wants to throw you in prison. Ok, that’s a slight overstatement. But not as much of one as you would think. Activist group WildEarth Guardians apparently dreams of a world in which people can be thrown in federal prison if they accidentally hit the wrong rodent scurrying across a dark highway, disturb the wrong insect while building a tree house, or even get too close to the wrong bird while hiking. 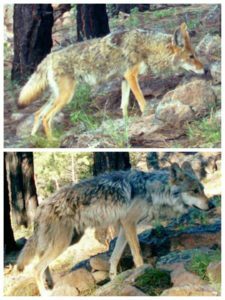 They sued the Department of Justice over its interpretation that the Endangered Species Act requires defendants to know the identity of the species their actions affect before they can be criminally punished. They argue this interpretation is too protective of criminal defendants and would require federal prosecutors to bring criminal charges when someone accidentally runs afoul of the Endangered Species Act’s take prohibition, regardless of whether they knew their actions affect a particular species. This week, PLF filed our reply brief in the Ninth Circuit explaining how Congress could not possibly have intended that result. When you hear the term “take,” you probably think of activities that kill or harm wildlife. But the statute defines it far more broadly. Catching a protected species without a federal permit or getting too close to one is considered take. The statute has also been interpreted by the Fish and Wildlife Service to include “incidental take”—actions that unintentionally affect species—including land use activities that adversely modify habitat, such as building homes, farming, or harvesting timber. Take is defined so broadly that it can even include activities intended to help species. Approximately 1,500 species are listed under the statute, including dozens of birds, rodents, and insects. It is likely that no single person could correctly identify all of them, and a certainty that most people would struggle to identify more than a handful. Many may recognize the polar bear or manatee but would be hard pressed to know what distinguishes the Delhi sands flower-loving fly from any other fly, the bone cave harvestman from any other spider, or the dusky gopher frog from any other frog. Yet WildEarth Guardians’ interpretation would mean that people could be imprisoned for their understandable ignorance of the differences between these obscure species, if they should accidentally take one of them. One of the key facts constituting the take offense is the species affected. Many activities foreseeably result in some form of take but remain entirely innocent. It is foreseeable, for instance, that building a home will disturb nearby insects. What separates this innocent conduct from illegal take is the identity of the species. Thus, knowledge of that element is required to avoid criminalizing ordinary, innocent activities. WildEarth Guardians’ policy arguments also identify nothing unique about [the knowledge requirement]. 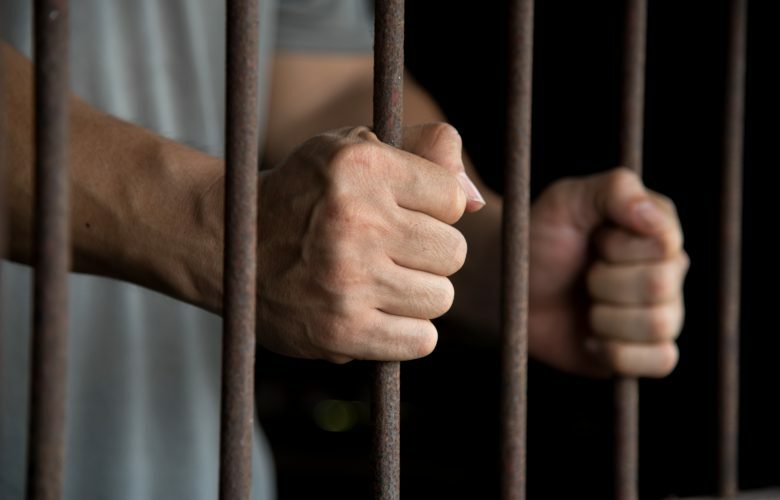 The high bar for convictions, the requirement that prosecutors disclose exculpatory evidence, the requirement that investigators inform suspects of their rights, and many other cherished protections for criminal defendants make it harder to secure convictions. Yet courts would not—and should not—throw out these protections based on vague notions that they undermine a statute’s laudable purposes. Conserving endangered species is important. The Endangered Species Act (and don’t forget voluntary markets!) provide several means of pursuing that goal. But eroding core, long-standing protections against the expanse of the criminal law is not and should not be one of them. 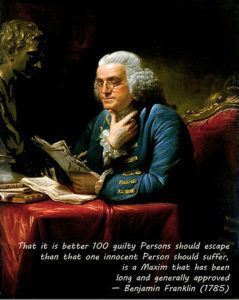 For centuries, our law has celebrated the idea that it is better that 10 guilty persons escape than a single innocent person suffer criminal punishment. We can continue to honor this important value while also advancing the goal of species’ conservation.